Henry Ford used to say, “Whether you think you can, or you think you can’t – you’re right”. I think Ford knew what he was talking about. 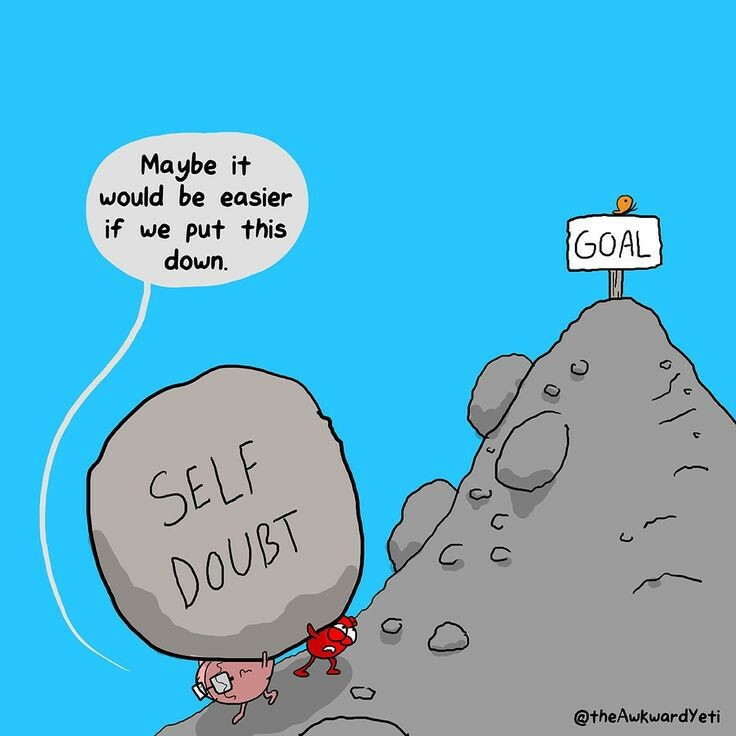 Isn’t it true that there are times when self-doubt seems to take over? There are so many people who think that they aren’t good enough. Let me tell you at the beginning of the week that you are enough of everything. Say STOP when these doubtful thoughts bubble to the surface of your thought process before they spin out of control. Saying stop will increase your awareness when you think thoughts that hold you back, and then you have the chance to rephrase that thought into a positive one. Shoot for a PB (personal best) – when I participate in races I always go for a personal best. There are many runners, swimmers and cyclists who are way faster than I am but that’s not what this is about. I want to be the best I can be. Comparing yourself to others can be a real downer. It is always better to stay true to yourself and give it your best effort. Setbacks are temporary and part of the process. Everyone has setbacks in their personal and professional life. The only difference is how you handle these setbacks. If you have many setbacks, it just shows that you take more chances. Keep in mind that it’s great to have a goal but that there are many different ways to accomplish that goal. If you feel that you can never deviate from your plan, it can mentally wear you out. Stay flexible in your approach, you will get there. If you want to get better control over your life, you have to practise to shut up that voice in the back of your head. I believe in you. Now it’s your turn to believe in yourself!